On the right bank of the Desna River has a ledge with a lot of barrows - Boldin mountain slopes. 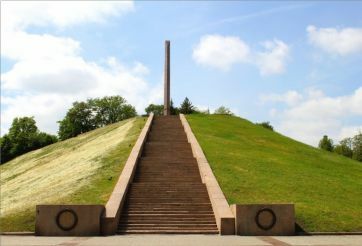 This historic site is considered to be the highest point of Chernigov , the height of hills reaches 35 meters. Even in ancient times there were settled peoples who have left a large number of archaeological, historical and architectural monuments. Reverent attitude to the sacred oaks in the pagan Slavs contributed naming these mountains Boldin. "Bold" with ancient Russian means "oak." Several witnesses of antiquity survived to our time, but according to legend, there was a whole Holy oak grove with a pagan temple. These oaks there are up to 400 years. In the annals of 1069 of the mountains mentioned in the story of the monastery, founded by Russian monk Antony Theotokos, "Anthony Boldin love the mountains and the Xia is conducted ...". Earlier, in the pre-Christian times, the site of the mountains to the city`s cemetery. 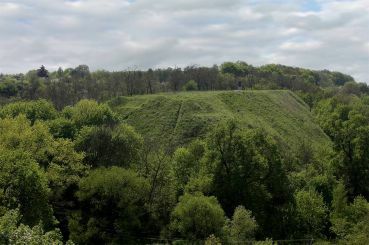 Therefore, the territory is dotted with mounds of modern Chernihiv, the largest of which is Boldinogorskaya group. By now most stores are burial mounds, formed from the 9th to the 11th century. When archaeological research professor D. Samokvasov averaged 232 mounds are dug out of 118. The largest size - Unnamed promenade and - hold the remains of soldiers vigilantes. The first of these archaeologists have found traces of cremation ceremony and unusually huge sword - weighing 10 kilograms and a length of 126 centimeters. Other items of equipment rider and harness large size were also unearthed here. From the hill promenade offers beautiful views of the Holy oak grove on the floodplain of the Desna. There is a lake that Chernigov in the late 10th century, was used for baptism. Deep underground, the Mound of Glory are Anthony Cave , who is rumored to be heard from Chernigov to Kiev, but over time have collapsed. 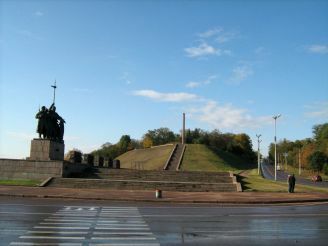 Next to the Slavic warriors on the edge of Cape Boldin Mountains stands a monument to the Unknown Soldier at the foot of the eternal flame burns. Also here are the graves of Ukrainian writer and ethnographer Kotsyubinsky A. Markovic. 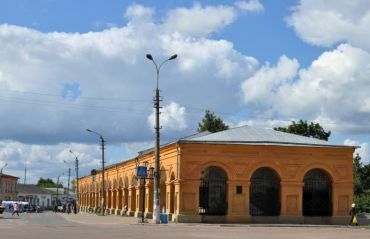 Boldin Mountains are located two kilometers from the historic center of Chernihiv on the street Tolstoy. 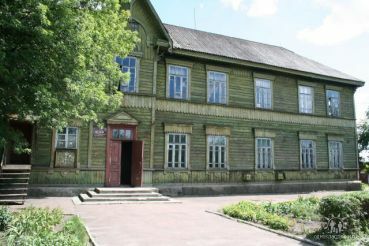 Therefore, the center can walk or take public transport to be across the street Tolstoy.